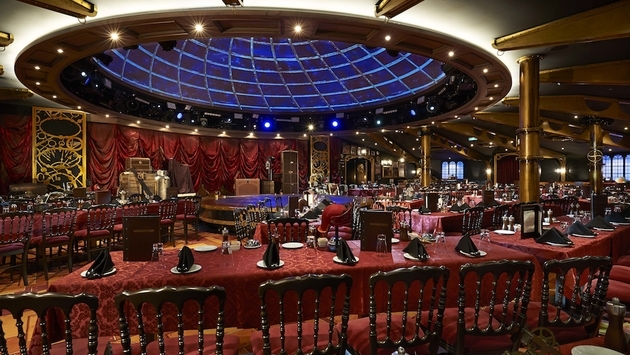 Norwegian Cruise Line has updated its Ultimate Dining Package to now include Spiegel Tent and/or the Illusionarium on embarkation day only on the Norwegian Breakaway, Getaway and Epic. 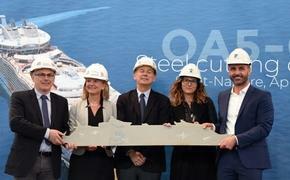 The change is in effect on Getaway and Breakaway and will start May 8 on Norwegian Epic. Both Norwegian Breakaway and Norwegian Epic have a venue called Spiegel Tent for the whimsical acrobatic shows “Cirque Dreams Jungle Fantasy” and “Cirque Dreams,” respectively. Norwegian Getaway’s Illusionarium features a magic show. Guests who buy the Ultimate Dining Package can dine in any specialty restaurant every night of the cruise, including the Italian, Asian, Brazilian, French and steakhouse restaurants at a discounted price over the cover charge. The package does not include a la carte restaurants or Geoffrey Zakarian’s Ocean Blue seafood restaurants on Norwegian Breakaway and Getaway. However, the package does include a 20 percent discount at those venues. The cost for the Ultimate Dining Package varies by cruise length. It costs $59 for three-day cruises, $119 for seven days, and $164 for 10 days. Norwegian says the savings is up to $31 for three days, $91 for seven and $136 for 10 days. Platinum-level Latitude Members receive a $20 discount off the total package price. The Ultimate Dining Package can be purchased in advance through Norwegian’s website or onboard the first or second day (first day only on three- and four-day cruises). Dinner reservations also can be made in advance on Norwegian’s website or aboard the ship.